Seems like a natural partner with Atlantis, but I've never tried the Prophecy route. 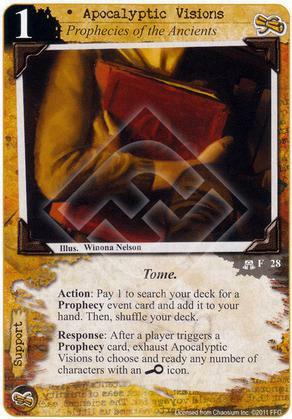 Has anyone tried to make a deck around the Prophecy mechanic? Seems like it should be MU based between Atlantis, Eschatologist, and this card. Prophecies alone aren't enough to power a deck, IMO. I might go for a Misk/Yog deck that exploits both prophecies and tomes, centering around this card and relic hunters, along with the other cards you mention.